Description: Galvanized steel construction for superior strength. Black powder top coat helps ensure durable corrosion resistance. 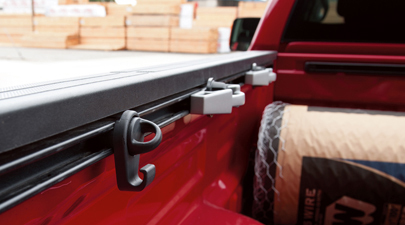 Adds functionality and versatility for optimal truck bed use. Custom-fitted for the Tundra truck bed. If you have a spray on bed liner, this item can't be added to your truck. Questions: Can't find that part you need or have questions about fitment? Email our Parts Department at: [email protected] or call 1-866-574-2624. Last edited by bochtoyotasouthparts; 08-27-2018 at 02:07 PM.